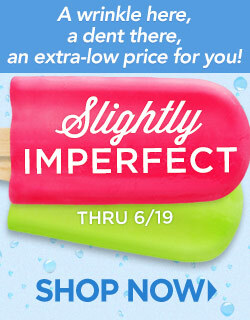 While supplies last, shop the ChristianBook.com Slightly Imperfect sale and grab huge deals on books. The books all have a minor flaw on the cover but are still quite readable. There are over 1000 titles that are part of the sale!! I found books starting at 49¢ with many of them regularly $10+. It’s hard to know whether any of them would be good to save as gifts, but if you wanted to add to your own library these are prices to not miss! Shipping starts at $3.99 for the first $20 you order. So grab 10 books and max out the $3.99 shipping!